Bourbon is very famous in Japan for the huge variety of different snacks and cookies - something to choose from for everyone! These Jaga choco potato chips are something for anyone who is looking for unique flavor experiences! 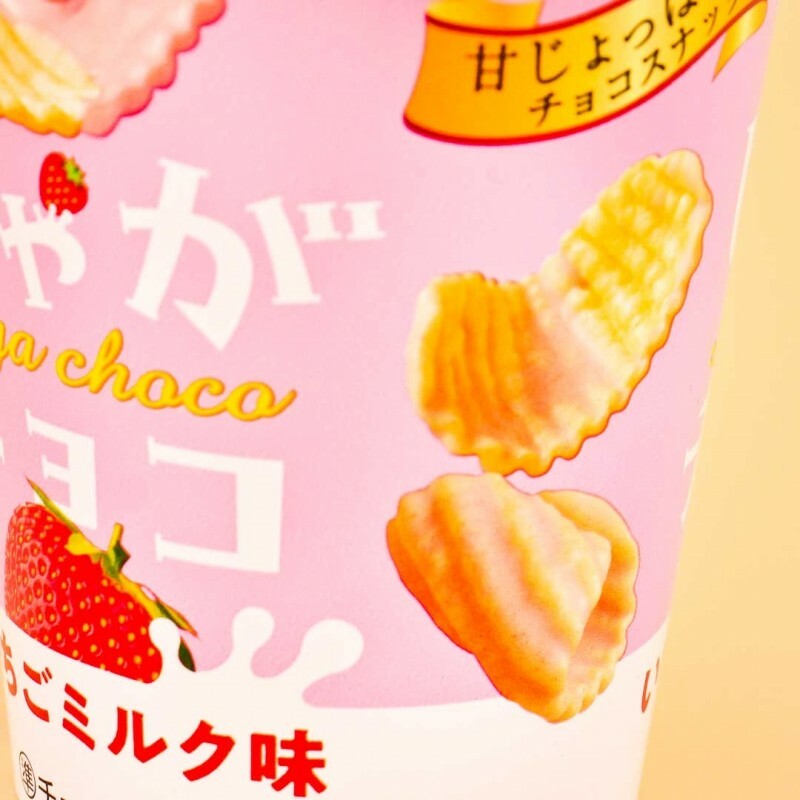 The perfectly slightly salted chips are covered with sweet and creamy strawberry chocolate. Sounds crazy? 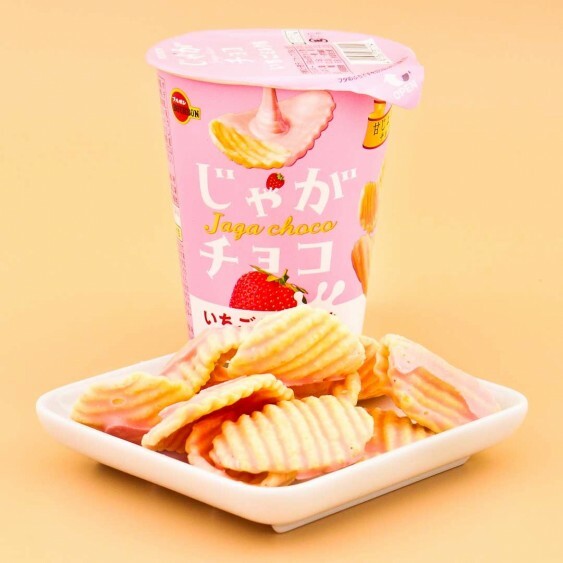 But you need to try this flavor combination to know why these chips are hugely popular in Japan! 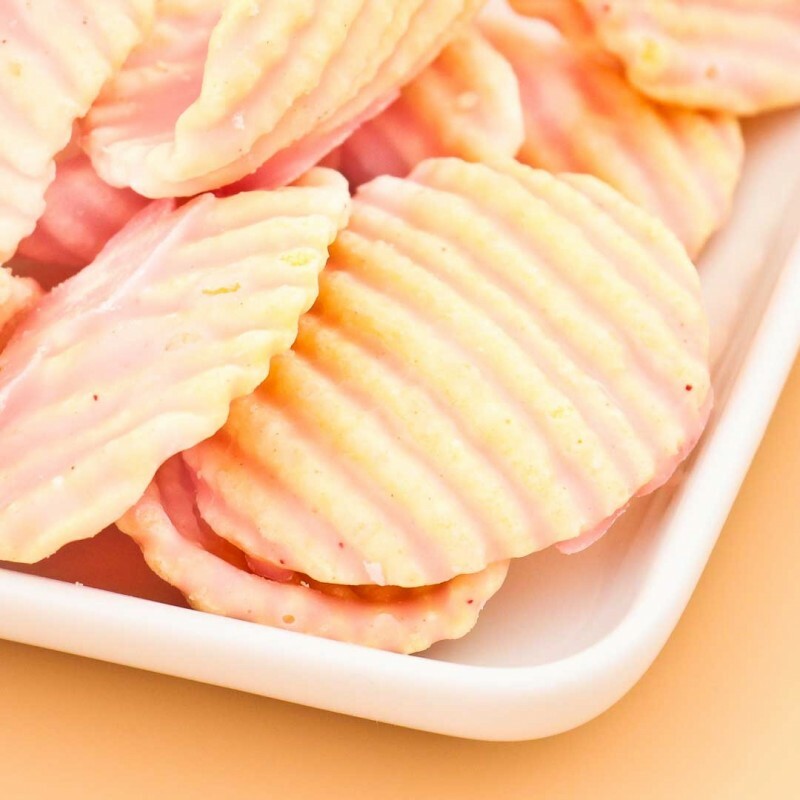 The chips are only available in winter months and have special edition flavors every year.